Terry David has a track record in teaching, training, and consulting--both locally and internationally--for four decades. He conceptualized and implemented strategic leadership and talent management solutions primarily for financial services institutions in the Philippines, Indonesia, Thailand, Singapore, South Korea, Hong Kong, India, Japan, Republic of China, and the United States of America. His main research interests cover strategic leadership, change management, and executive development. Dr. David serves as Executive Mentor in Bank BTPN (Indonesia). He holds the Antonio V. Ayala-SGV Foundation Professorial Chair in Business Management and the AG&P Professorial Chair in Business Administration in the Leadership and Strategy Department (where he served as its first Chairman from (2000-2002)/JG School of Management at the Ateneo de Manila University (Philippines). A certified MBTI practitioner, Dr. David also serves as Senior Consultant and External Facilitator of the Center for Leadership and Change, Inc. and as Senior Consultant and Program Leader of Kepner-Tregoe’s Problem Solving and Decision Making Program. (a) Executive Advisor to the President and Chief Learning Strategist of Bank Universal/Astra International, (b) Vice President and Advisor to the Board of Directors of Bank Duta, and (c) concurrently Managing Partner of PT Eftri Consultama. He also served as External Training Director of Citibank’s Asia Pacific Training Center, which covered 15 countries in the region. Dr. David obtained his Ph.D. in Leadership Studies in 2010 as a full university scholar from Gonzaga University (Spokane, WA, USA). In 1994, he received a Diploma in Banking after completing the three-year program of The Stonier Graduate School of Banking/American Bankers Association in Delaware, USA as a Bank Universal scholar. 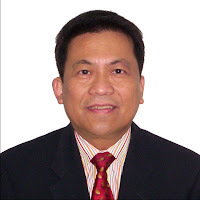 He took up his MBA ’76 and DBA (abd) at the University of the Philippines. A blue-blooded Atenean in the honors course from grade school to high school, Dr. David obtained an AB Economics degree ’73 (honorable mention) in only three years from the Ateneo de Manila University. Dr. David also completed executive development programs at Citibank (numerous foreign training in the 80’s), Stanford Business School (EPOC ’95, MGT ’97, NIS ’97, EPSO ’99, SVEC ’00, ANP ’02, IDPHL ’03, EPL ‘04), Harvard Business School (SHRM ’96, SWAWN ’00), Harvard Law School (basic ’90 and advanced ’94 negotiations), Michigan Business School (HREP ’00), and FranklinCovey Company (PP ’02, PCL ’02, SBC ’05, LG ’07, LST ’07 & ‘08, HCS ’09, and 14 other courses).